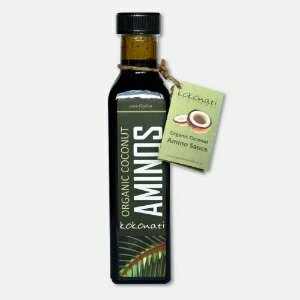 Coconut Aminos sauce is produced from the sap of coconut tree blossoms and is intended as a replacement for soy based sauces. Contains 14 times the amino acid content of soy 17 naturally occurring amino acids. May contribute to muscle repair and rebuilding. May enhance brain and nervous system function. Can boost immune system and energy level. If you are new to this product click here for the Coconut Oil Shop Coconut Amino Sauce page to learn more.